Win a $250 Hotels .com Gift Card - 53 Winners Win $250 Each. Limit One Entry - ENDS MIDNIGHT TONIGHT!! 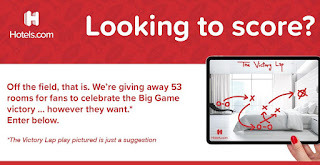 Fifty three (53) winners will receive a $250 Hotels.com gift card.